(2) to restrict those cases in which leave may be granted to appeal to the Supreme Court from the High Court of Justiciary to cases in which the High Court has certified that a point of law of general public importance is involved in the decision. The debate over the role of the Supreme Court’s role in Scottish cases is a result of the Cadder judgment in October 2010, on the rights of suspects to legal representation in Scotland. The role of the Supreme Court in Scottish cases has become something of a political football, and in June Alex Salmond launched an attack on the Supreme Court. It is likely that Lord Hamilton’s recommendations will add further fuel to an already heated debate. 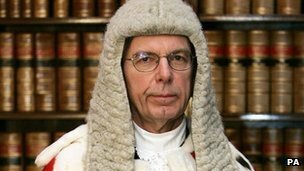 Leave a reply on "Lord Hamilton submits view on Supreme Court role in Scotland"